Matica is an older woman and mother to a handicapped child in the community of San Jose Adentro in Baitoa, Dominican Republic. She spent all of her days walking to a local stream to collect water and would carry it back to her house in buckets. 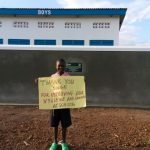 Not having easy access to water resulted in Matica and her family having poor personal hygiene and not being able to clean the house frequently. 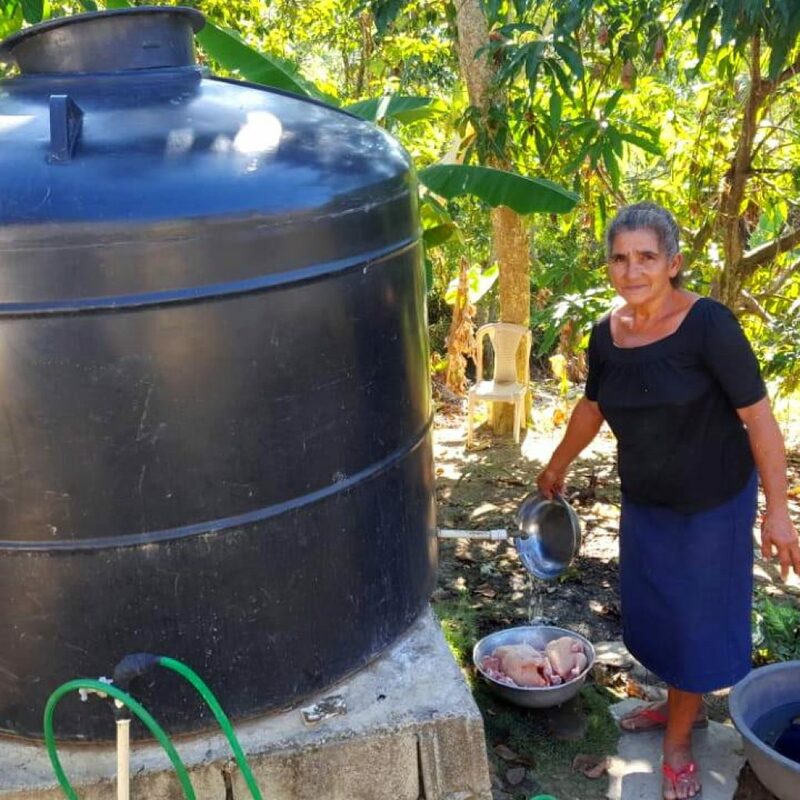 Ever since Surge and Project Hearts partnered to bring access to clean, safe water to the citizens of San Jose Adentro, Matica’s life has changed. 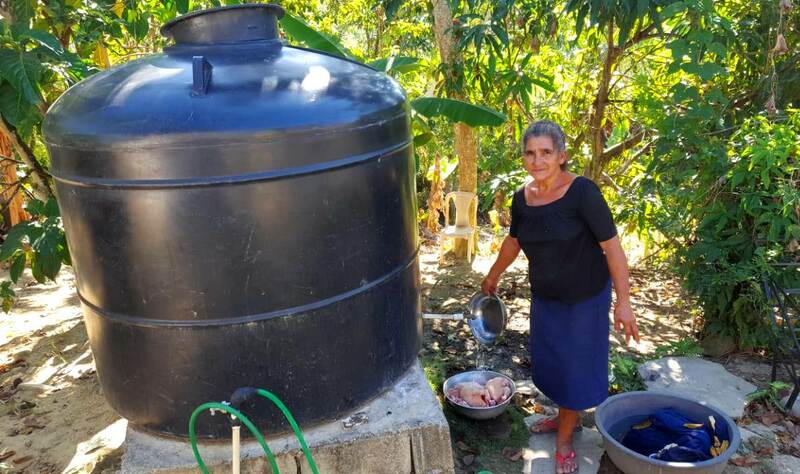 She was one of the first people in her community to receive a tinaco, the water tanks used in the Dominican Republic. Matica is now able to collect rainwater, resulting in easy access to water. As a result, she is now able to clean more frequently, practice proper hygiene, and spend more time taking care of her child. Having easier access to water has also changed Matica’s life in other ways. Although she is a leader in her community, there is very little traditional work opportunities available to her. Instead, Matica has used the tinaco as a way to grow flowers and fruit trees, as well as care for animals, resulting in regular access to food for her and her family. While this may not seem like a lot, it provides Matica with a sense of security that would otherwise be unavailable. Matica is thankful for her tinaco and hopes to see more prosperity and health within her community. In a community such as San Jose Adentro, A Single Drop. Makes An Impact.